Microplus Capital, LLC is highly experienced in providing our clients with Commercial Bridge Loans and Hard Money Loans in a short amount of time. With our numerous partnerships with institutional private investment firms we can provide the capital you need, in the time you need it in. The low end of our Lending spectrum starting at $50,000 was built after the market crush of 2008. Markets like Michigan were heavily hit and investors saw an opportunity by purchasing single family homes as rental investment properties. 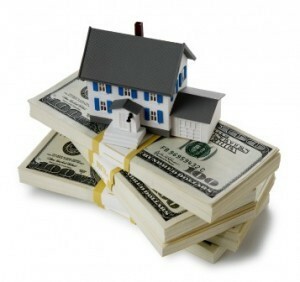 At Microplus Capital, LLC we do a lot of Bridge Loans and Hard Money Loans. Because we have such a huge volume , we tailored this program to capture that market by creating our own portal. You can start your application by using our Microplus Bridge Loan Portal here. By going directly to our Microplus Bridge Loan Portal, you can submit all the necessary documents online and get your initial pre-qualifying in the privacy of your business or home. Should you encounter any problems while working in the Bridge Loan & Hard Money Portal, do not hesitate to reach out to our staff at 888-321-4440. To apply for a loan at our Bridge Loan & Hard Money Portal, you first have to create your new account. You can then visit your our site and view your loans in the Microplus Bridge Loan Portal. You only need to create your log in once, after that you can apply for as many loans as you need. If you need additional capital quickly for another project, or if you see an acquisition opportunity that you can afford to pass up, then this is the program for you. This program applies to income producing properties only. Rates are very competitive and require strong borrowers. Microplus Capital, LLC also specializes in blanket mortgage bridge loans for investors with multiple properties like apartment complexes or single family residences as income generating properties. A blanket loan, or blanket mortgage, is a type of loan used to fund the purchase of more than one piece of real property. Blanket loans are popular with builders and developers who buy large tracts of land, then subdivide them to create many individual parcels to be gradually sold one at a time. The majority of lenders stay away from these loans because of the complexities involved in structuring them but we love the challenge the majority of our blanket mortgages fall in this category. Microplus Capital, LLC brings experience and integrity to funding your Bridge and Hard Money Loans.